offering you the best products with competitive prices. 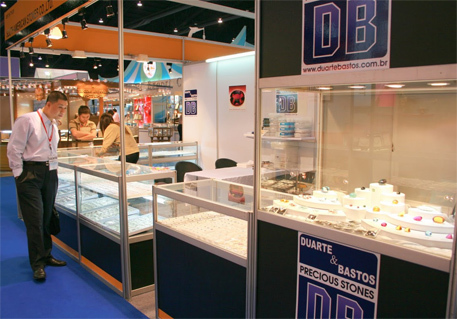 Duarte & Bastos was founded in Teófilo Otoni, Minas Gerais in 1989 and is one of the most respected gem stones commerce companies. 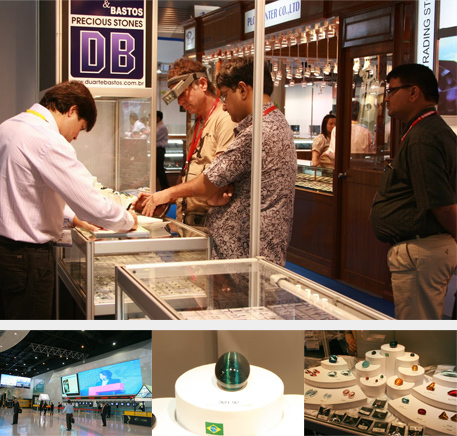 Alberto L. Bastos and Márcio Duarte Lopes, two experienced precious stones professionals, led the company to the American, European and Asian markets. In order to be one of the most reliable companies of precious stones, DB has a strict quality control from the extraction up to the classification of faceted stones. It guarantees our clients to get true and high quality gems that were formed and cut based on international quality and design criteria. DB has its own extraction fields. It guarantees a huge and varied stock besides competitive prices and provenance assurance. Our basic principles are trust, quality and experience in the relationship with our clients as a form to ensure benefic and profitable trades for both parts. The company offers a huge variety of precious stones like Amethyst, Cat’s Eye Chrysoberyl, Aquamarine, Tourmaline, Rubellite, Quartz, Rhodolite Garnet, Fluorite, Alexandrite, Emerald, Topaz and Imperial Topaz. All stones are cut by our experienced high class professionals. or send us an email. Will be a great pleasure to welcome you.